The standard Amp Box supports dual-slot cards up to 9 inches in length, and GPU power consumption up to 250 watts. It also adds three regular USB 3.0 ports, plus a single "Quick Charge" 3.0 connection. The Amp Box Mini can also handle dual-slot cards, but only up to 7.8 inches and 150 watts. Similarly, while it has four USB 3.0 ports, none of them are Quick Charge-capable. Neither enclosure will fit the biggest video cards, or higher-end models like the Vega 64, but they may nevertheless help speed up the MacBook Pro when attached to an external display, since Pros otherwise use mobile-sized or even CPU-integrated graphics. Pricing has yet to be announced. 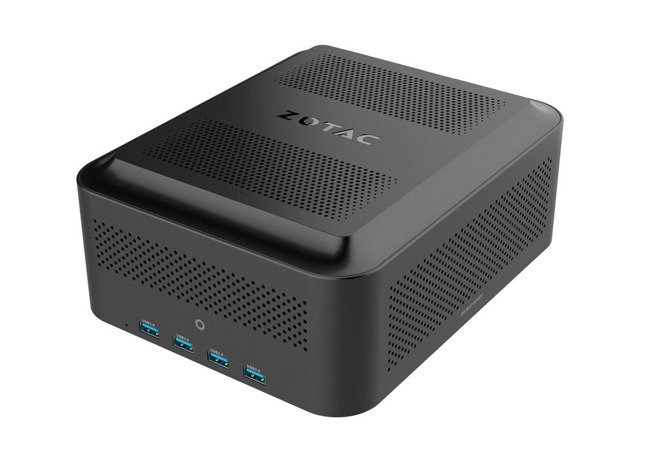 Zotac is targeting a launch in the first half of 2018. 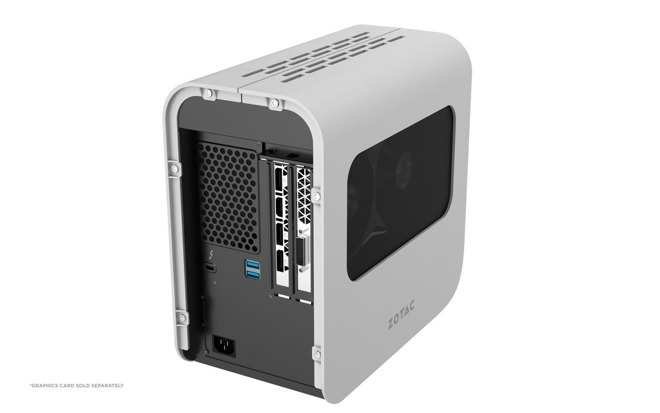 Apple's full support for external GPU enclosures arrives in the spring of 2018, with limited compatibility with some AMD cards available now.